Common ivy is probably the most popular species of hedera available. Common ivy is a fast-growing (50-70cm p.a.) evergreen climbing plant with bright green leaves. 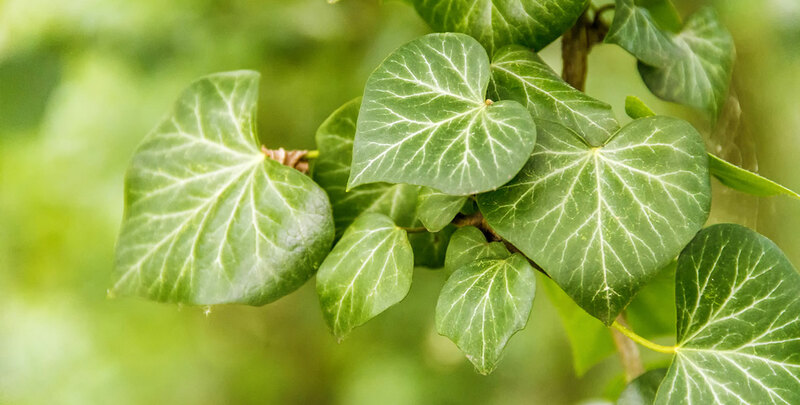 Common ivy will grow happily in sun, partial shade or even full shade and tolerates a wide range of soil types. It is a little different from most other hedging plants, as it needs a host to climb up. If it finds a suitable host, common ivy will create a thin leafy screen. If you do not plant ivy next to a frame, wall or tree it will grow horizontally, in which case it can serve as a ground cover. A versatile, all-round plant for smaller gardens or for those who fancy a lush, green screen instead of a more traditional hedge. Common ivy may be (rigorously) pruned at any time of the year to keep it in check.